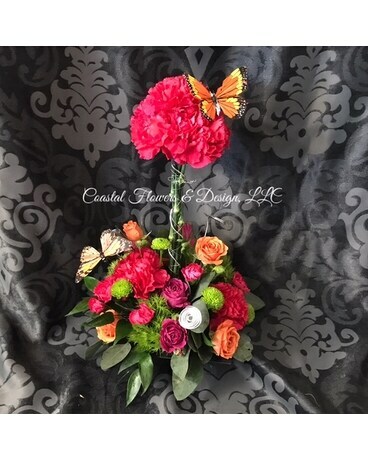 A darling topiary of hot pink carnations, orange and hot pink spray roses, green ball dianthus, green button mums with premium foliage and accented with modern wire and butterflies! Great for kids, teenagers and anyone who loves something a little different. Colors can be modified to match your loved ones personality!